Many of the current retiree homeowners at the Seasons at Prince Creek West traveled all the way down to Florida to compare retirement communities. When they looked at our more temperate climate, lack of most of the hurricane problems, and cost of living, they ended up choosing the Seasons as their home. The Myrtle Beach area is also much closer for those who have children and grandchildren up north. This gated adult-only community is located on the south end of Murrells Inlet, inside the Prince Creek West Subdivision. 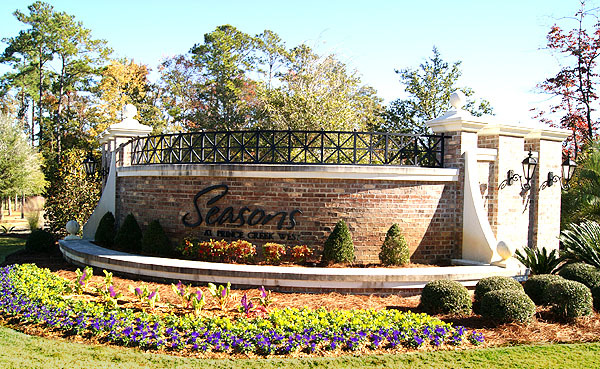 Seasons homes are one level, designed with easy mobility at the forefront. Every upgrade imaginable is available in different homes, which were built anywhere from 2010 to 2015. You'll find vaulted ceilings, hardwood flooring, extra walk-in closets, granite countertops, and marble baths. Designer kitchens often have the newest stainless and natural gas appliances. Every detail has been considered - including solar panels and energy conservation. Three and four-bedroom homes with 2/3-baths range in size from 1600 sq ft to 2900 sq ft in the four bedroom floorplans. Prices range from as low as $250,000 to $400,000 or more, depending on size, lot size, and location. For more information, call us at the Harrelson Group. You can learn more about the Seasons at Prince Creek by browsing a sample of the homes for sale below, or on the main page for Prince Creek on this website. 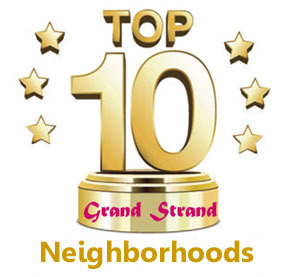 Also, check our page for other active adult communities in Myrtle Beach as well.